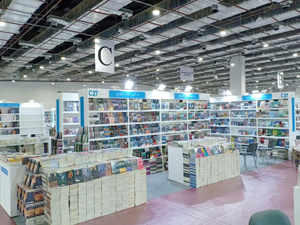 Visitors from all over Egypt have flocked to the Cairo International Book Fair at its new venue in the Fifth Settlement district in New Cairo. 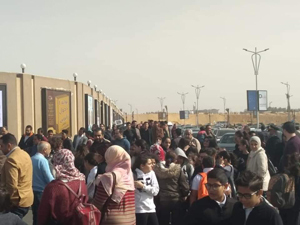 Long queues in front of the gates and ticket windows Thursday, on its second day, were a sign that the move to New Cairo, on the outskirts of Cairo, didn't affect the number of visitors drawn to the 50-year-old fair. 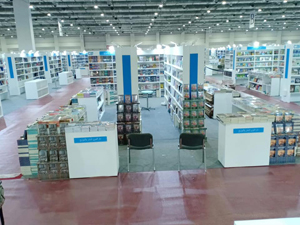 Cairo International Book Fair, which celebrates its Golden Jubilee this year, was opened Tuesday by President Abdel-Fattah El-Sisi, welcoming the general public Wednesday. 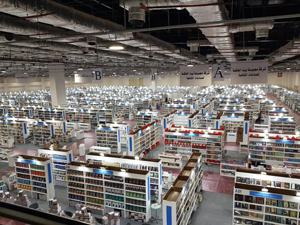 The fair runs between 23 January and 5 February, featuring 1,273 publishers from 35 countries. 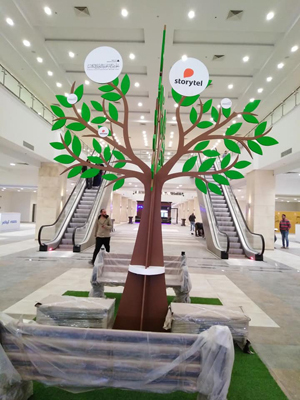 The fair was moved from its previous grounds in Nasr City to the Egypt International Exhibition Centre in Tagamoa El-Khamis in New Cairo. 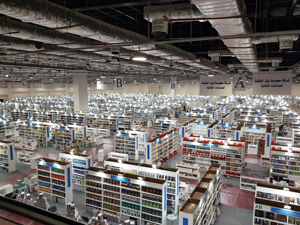 The new venue covers 45,000 square metres, housing 748 publishers and 525 publishing agents, and will comprise 723 sections. 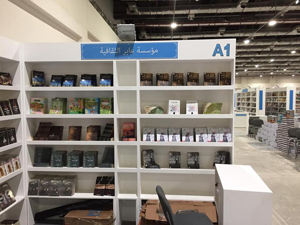 This year's guest of honour at the book fair will be the Arab League. Those honoured this year include Tharwat Okasha (1921-2012) and Suhair El-Kalamawy (1911-1997). The fair was held for the first time in 1969 at Al-Gezira in Zamalek, where the current Cairo Opera House is. 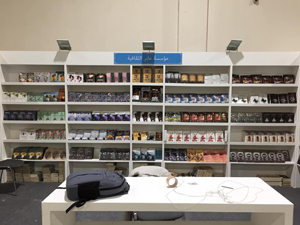 The General Egyptian Book Organisation (GEBO) has cooperated with the Cairo Transport Authority to provide bus lines and stations designated for fair visitors. The stations will be located in the following locations: Abdel-Moneim Riad Square, Abbasiya, Giza Square, Mazalat, Amiriya, Nozha El-Gedida, and Saqr Koraish. There will also be a bus station at the fair from which buses leave every 10 to 15 minutes, with a ticket price of EGP5. In addition, there will be free buses taking visitors from the old venue in Nasr City to the new venue in Tagamoa El-Khamis. GEBO also has agreed with Mowasalt Masr Bus Company to double its buses on its three lines passing by the fair. The lines are the Abdel-Moneim Riad Square line, the Ahmed Helmy Line, and the Saray El-Kobba line. Abdel-Moneim Riad Square: Starts from the square through Ramsis, Abbassiya, Al-Azhar University, Mehwar El-Mosheer, up to the book fair. 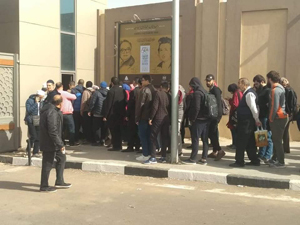 Abbasiya: Through Nadi El-Sekka, Al-Azhar University, Mehwar El-Mosheer, up to the book fair. Giza Square: Passing Cairo University, Sayieda Aisha, Autostrad, Al-Azhar University, up to the book fair. 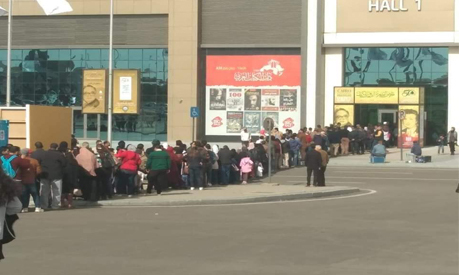 Nozha El-Gedida: Passing Hijaz Square, Makram Ebid, Mostafa El-Nahas Square, Manhal, Al-Wafaa wal Amal, up to the book fair. Saqr Koraish: Through Maadi Carrefour, Wadi Degla Club, the Ring Road, Mehwar El-Mosheer up to the book fair. Amiriya: From Matariya Square, passing Helmeya, Sefarat neighbuorhood, and then to the book fair. Microbus stations: This service will offer direct microbuses from the following squares and microbus stations: Helwan, Sayyieda Aisha, Moasassa, Ahmed Helmy, and Abdel-Moneim Riyad. In addition: Free buses from the old fair grounds in Nasr City and up to the book fair.